Virginia enjoys her cottage in the NH woods near a lake. It's a beautiful area that attracts weekenders and summer folk. Last summer we added a gazebo for our grill area. It was the best thing we could have added to our deck. Now my husband grills all summer long undeterred by rain or hot sun. 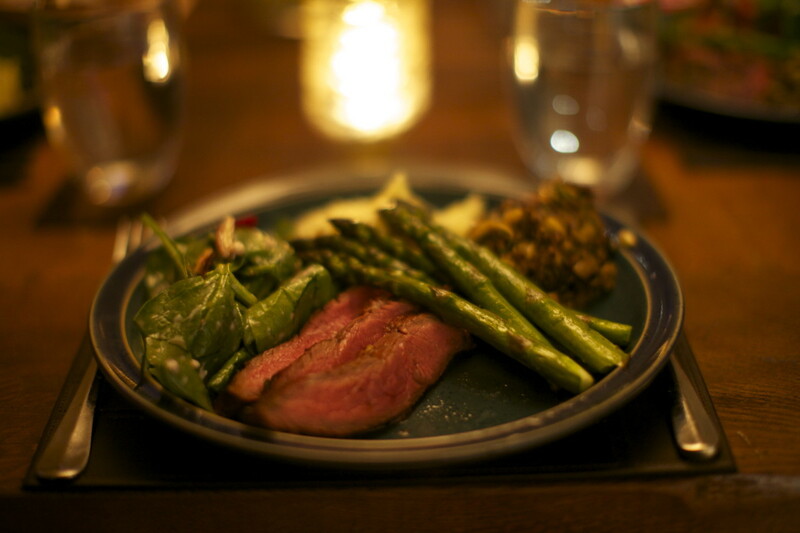 We're enjoying our grilled and barbecued meals so much. 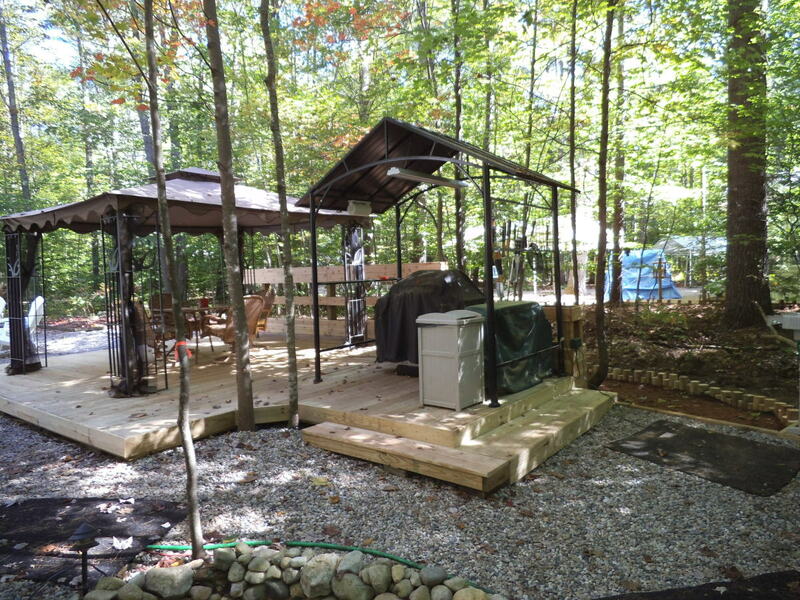 If you've been thinking of getting one of these grill gazebos, you've come to the right place. I've rounded up a lovely selection of these grillzebos. There's sure to be one that's just right for the space you have on your patio, deck or yard. This summer we're even more glad to have this shelter for our grilling area. We've had rain for all of June and off-and-on for early July. Undeterred, he is out there grilling something tasty 3 or 4 times a week. If you live in an area with heavy snows, you'll want to brace the roof. We have a different grillzebo, but because of the weight of snow in New Hampshire, we put a wood timber with a crossbar at top and bottom (like a capital letter "i") to keep the structure from bending when there is lots of snow. 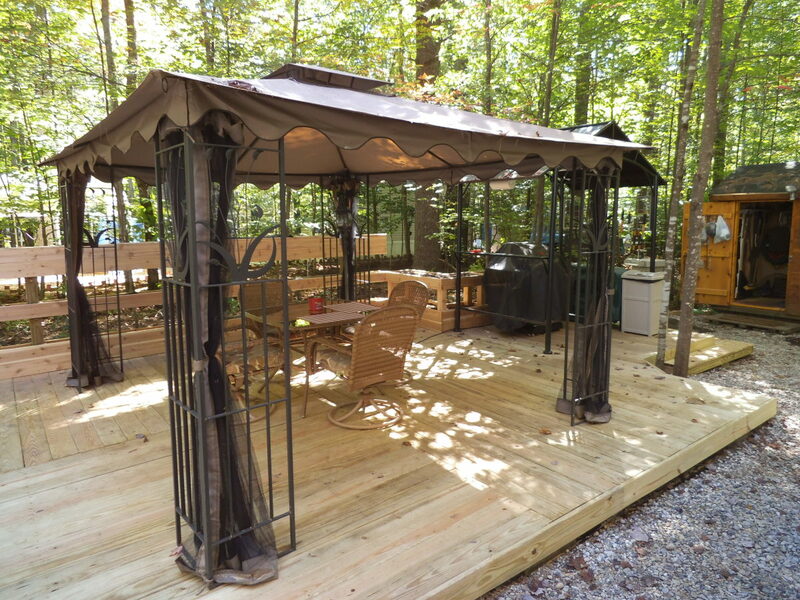 Don't you love the curved roof on this grill gazebo! I think that curving roof is a classy look and certainly will keep off the rain and give some sun shelter. This one is roomy enough, that the grill master can have some company while the steaks are sizzling. Everyone likes to gather around the food and certainly the chef enjoys some company while he or she attends to the grilling. We've not had a problem, but just-in-case we put supports under the roof for the winter. Don't want the aluminum roof caving in from the weight of snow. Don't let rain spoil your BBQing. 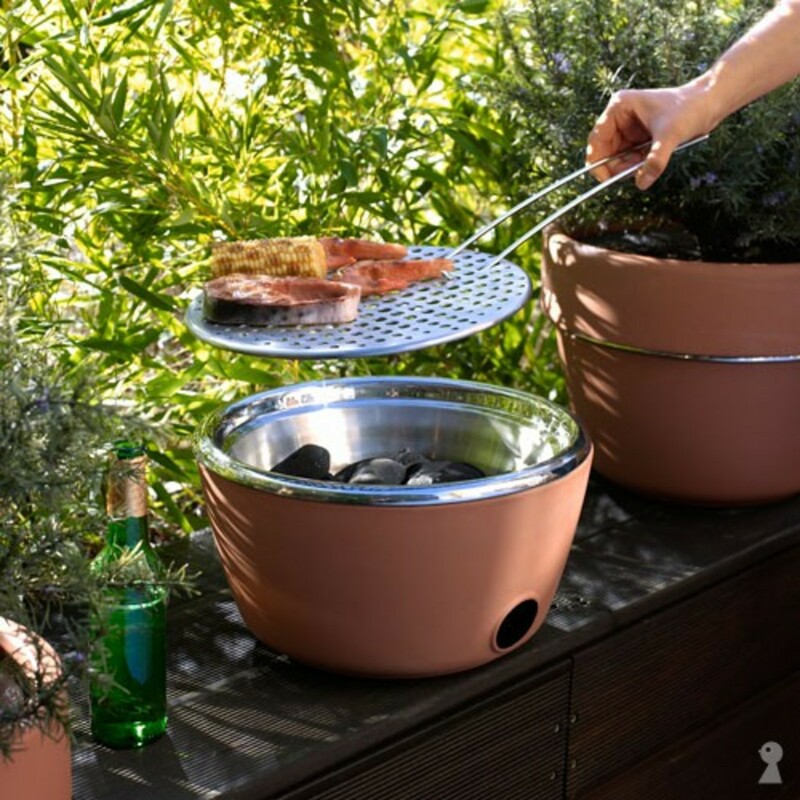 This classy looking grillzebo protects the grill and the chef. Architecturally interesting so you are adding not just a shelter for your grill, but also a very nice feature to your landscaping. You can add your own enhancements like an overhead light or S hooks to hang your BBQ tools. Very stylish roof! 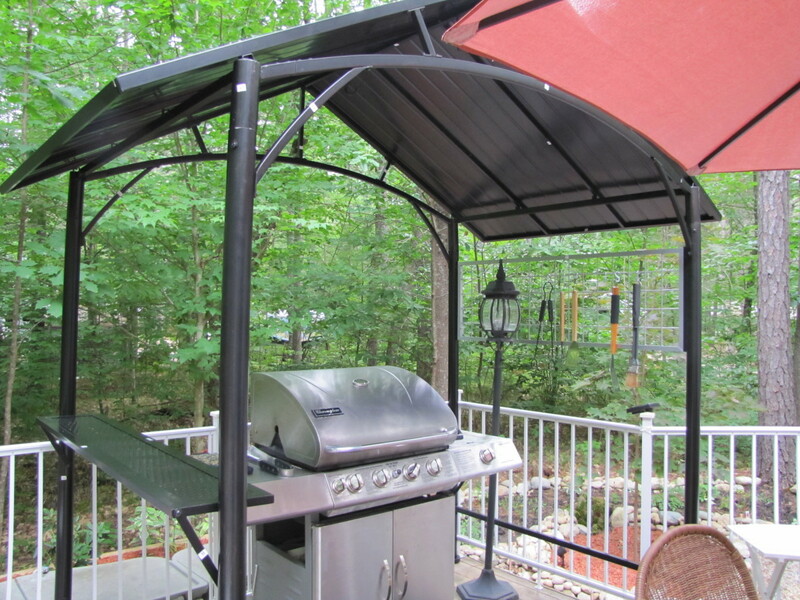 They've done a good job giving you shelter for the grill and at a VERY affordable price. Since the roof is a soft roof, not metal, you can replace it later if it wears out. Where we use ours in a heavy snow area, we would want to remove the cover for the winter and put it back on in the spring. With a metal roof grillzebo, we have to brace the roof which 3 feet of snow would collapse. In other areas, you could leave the cover on year round. 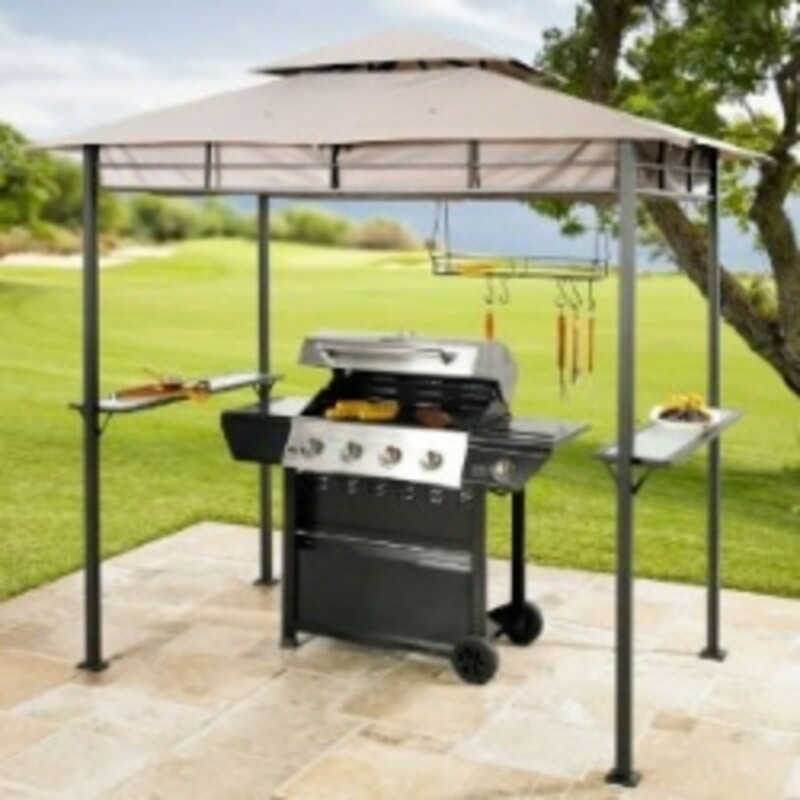 Do You Need a Grill Gazebo? The grill gazebos are so popular that the ones on Amazon sometimes go out-of-stock. If the one you have your heart set on is not available right now, check out the grillzebos on eBay. Good luck with your bidding. We'd invited my husband's brother over for a cookout today. The forecast was for sunny and 80 degrees. Perfect weather for a BBQ. 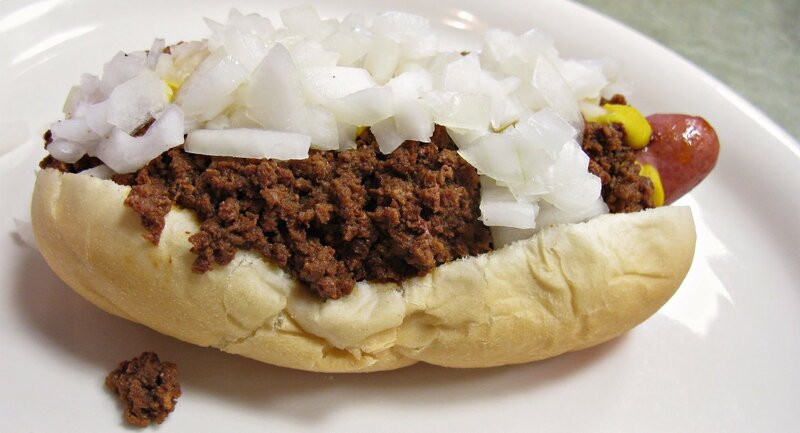 We have potato salad, fresh corn on the cob and a thick slice of ham waiting in the refrigerator. It should be an easy meal on the grill. Denny does that part and I shuck the corn and steam it for 9 or 10 minutes in the microwave. I pile all the plates and side foods onto a tray and take it out to the deck where we'll eat. Unfortunately it now has turned rainy with 90% chance of showers. Still, we won't let it spoil our get-together. We love our grill gazebo that shelters hubby while he grills. There's a larger gazebo over the dining table on the deck, so we'll be fine. The temperature of 73 degrees is OK too. I'll just have to hustle from the house to the deck with the tray to avoid getting too wet. Sometimes this falls out-of-stock on Amazon. When that happens, check the eBay auction listed below to see if it is available there. You'll be amazed at how well this one fits the budget. Too much sun or some rain? No worries, with this stylish grill cover. The roof is unique with 2 curved pieces. It gives a nice architectural look to the structure. If you have an Amazon Prime membership, some of these grill gazebos ship for free. The metal roof protects the griller from sun and rain. There are 2 side tables. You'll have everything you need right-at-hand. The polycarbonate roof protects the griller from sun and rain and allows more light into the cooking area. Since the roof is cantilevered you don't have upright poles all the way up in the front. There are 2 side tables and a BBQ tools rack. You'll have everything you need right-at-hand. The frame is sturdy aluminum on this grillzebo. Even with these tall trees around, it can be too sunny. Certainly, the trees won't protect you for a sudden rain squall. My husband has a scenic view into the woods while he's grilling. The roof gives him protection from sun or rain. You Can Build a Grill Gazebo from Scratch - but do you really want all that work? The grill gazebos available on this page are ready to assemble in just an afternoon. My husband and I put ours together. The videos show beautiful gazebos made from wood if you want to take on a huge project. How Often Do You Use Your Grill? 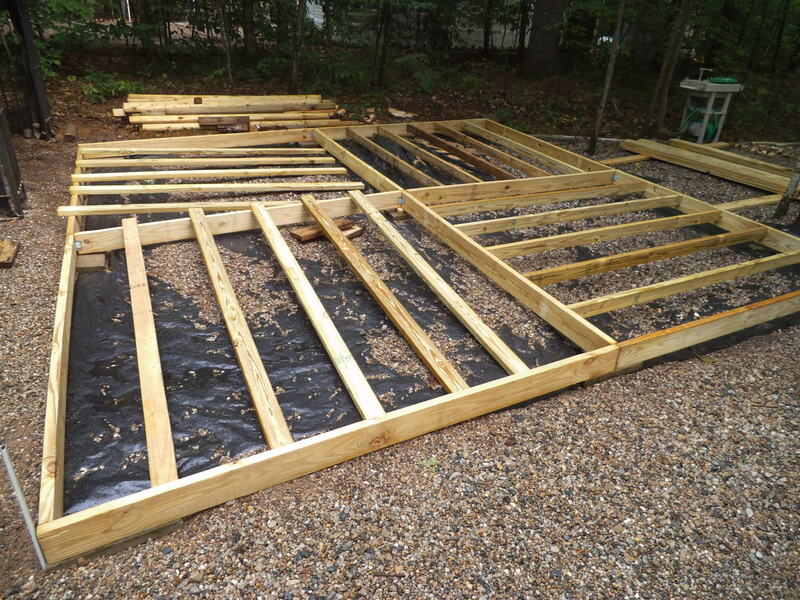 Here's the section of the deck where the grill gazebo went. He even has 2 grills and a trash bin under cover. Here's the dining part of the deck. You can see the grill off to the right. What Do You Like to Cook on Your Grill? We need one of these. We've been thinking of building our own. This gives us some great ideas. We grill in the summer when the weather permits, it's either raining or too hot - we clearly need a grillzebo!! We cook almost everything from meat to potatoes to vegies on the grill in the summer...and today could really use one of these gazebos as it's raining a lot! I'm a steak lover. We have a grillzebo and I absolutely love it. This is a really neat idea! Our neighbors have a gazebo with a grill and I have always wanted to copy them. I have to say though, after seeing your page, I am more tempted to go for that Four Season Solarium. These are wonderful canopies for your grills. Very classy. 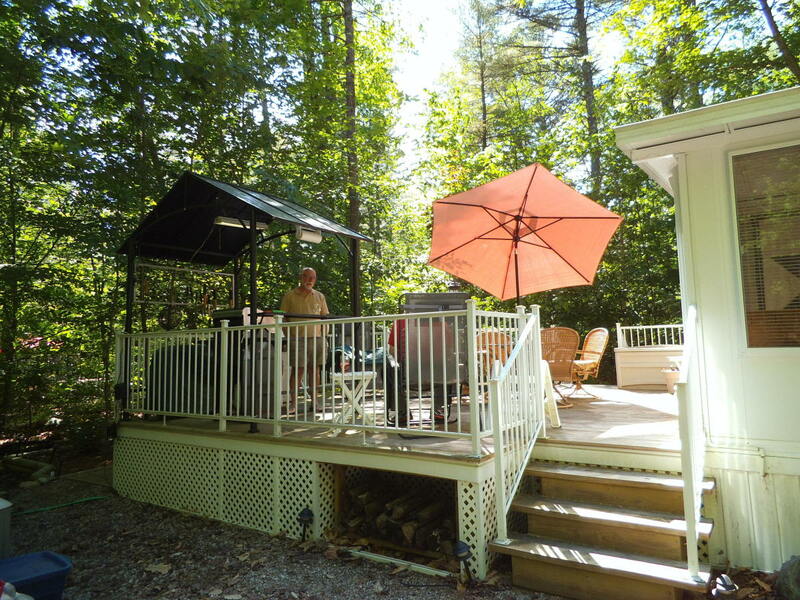 @priscillab: My husband loves his grill gazebo! 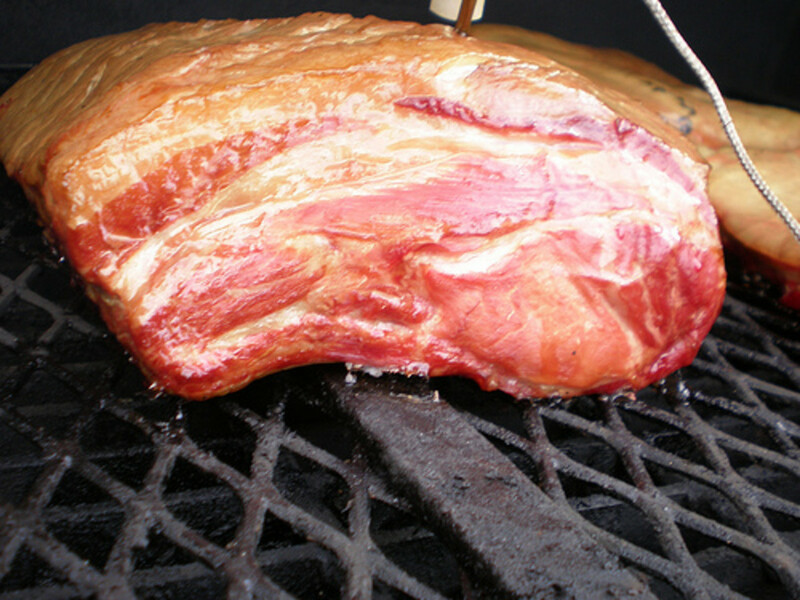 I love grill cooking year round and a grillzebo would be fantastic! I never knew they made them. Grill gazebos are definitely something I'll look into when we fix the old place. @SpenceG: I consider one a good way to get more grilling going. No more cooking inside because it's drizzling outside or the sun is too strong. I could see how this is helpful. I'm the one who bbq for my relatives, so I tend to get burnt more often than not. These gazebos will prevent that. 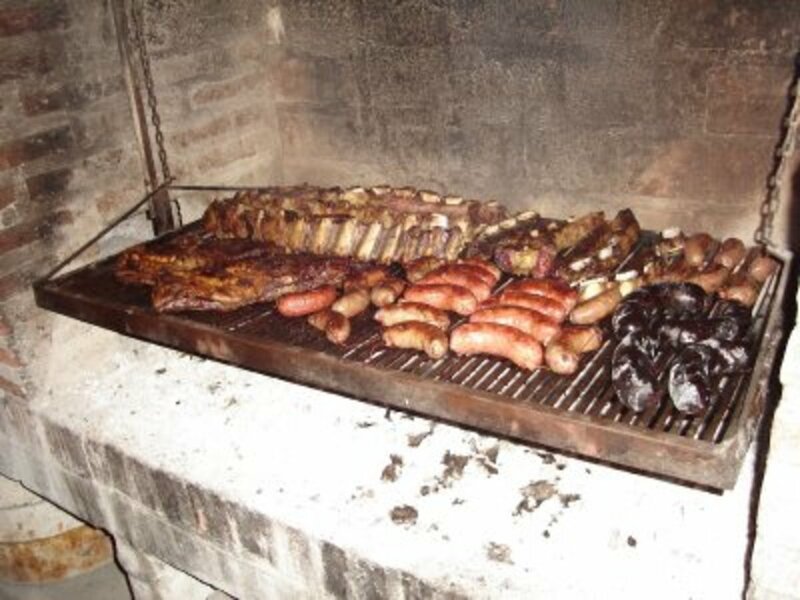 @hntrssthmpsn: I love grilled food, so flavorful and not cooked in oil. Hubby does the grilling so I just have a few side dishes to prepare. We grill everything! I'm not a meat eater, but my son is, and I love grilled veggies. We've even grilled pizza :) In the summer, it's a great way to keep the heat outside where it belongs!